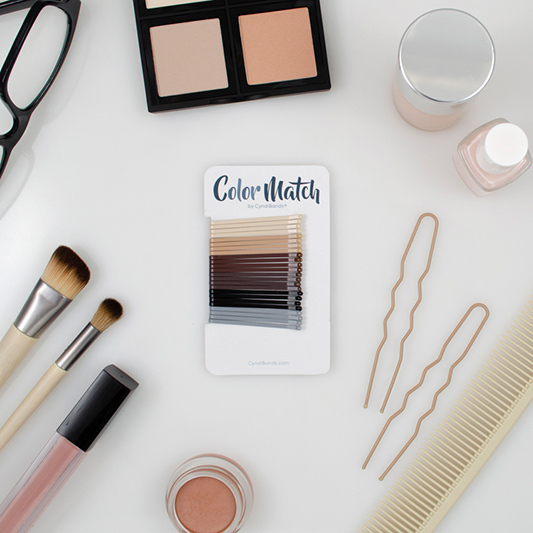 Strong Hold Straight Bobby Pins, available in different enamel-coated shades to match your hair or even contrast it for a bold look. 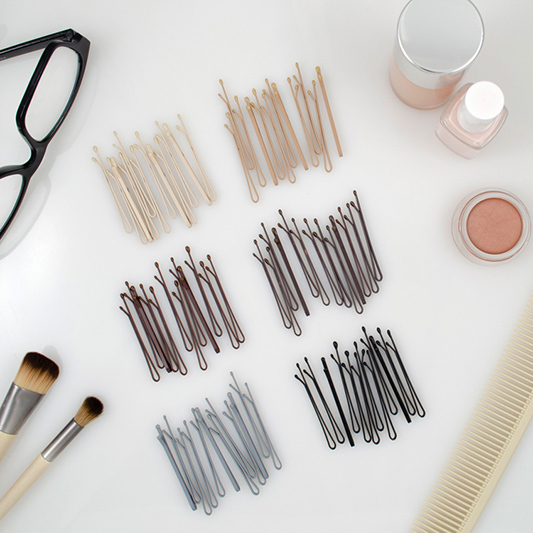 You will love the unwavering hold these straight bobby pins provide for an alternative to your favorite ponytail while being easy to use. 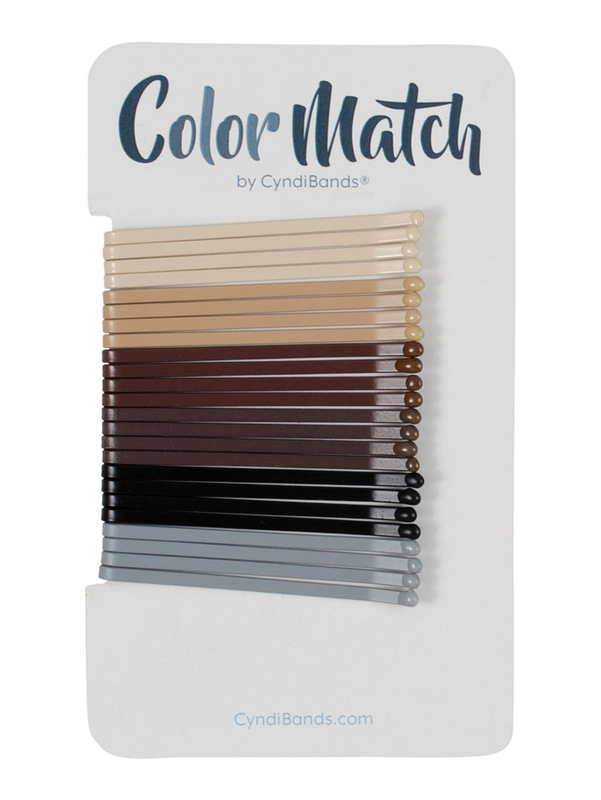 In the same size as your standard bobby pins, Cyndibands bobby pins are anything but standard with the great hold you trust in colors you love. Let them be your secret weapon in your favorite up styles or let them stand out to make a stylish statement. 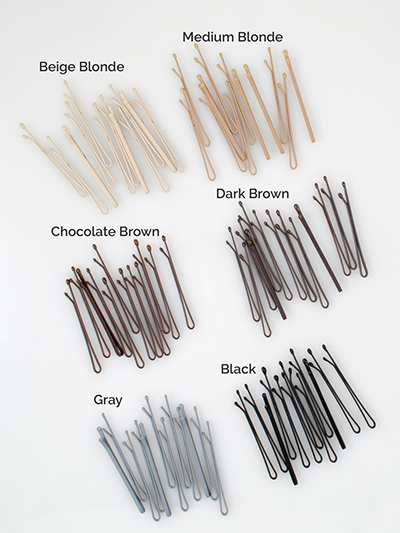 4 each of beige blonde, medium blonde, chocolate brown, dark coffee brown, black, and gray.